S1-3 Year of Homecoming Burns Showcase Evening held on Thursday 26th March was a success for the pupils, in addition raising over £200 for the school’s Malawi Project and CLIC Sargent. 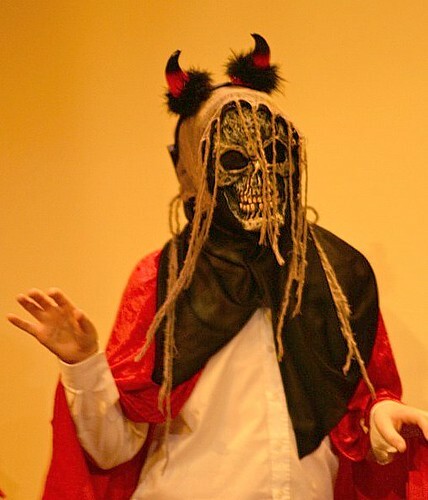 All pupils in S1, 2 and 3 were involved in their English classes and over 70 pupils took an active part in the show itself. Miss Mackjison and Mr Ellis have been working with the pupils along ith the help of Eden Court’s Islay MacRae. 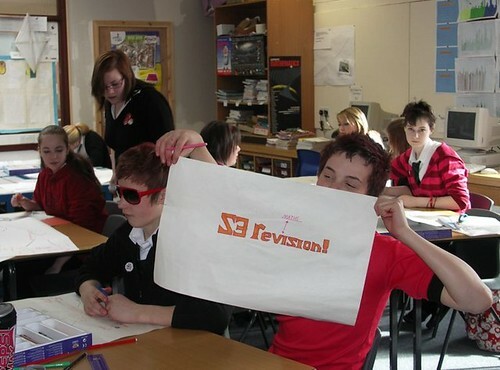 Many pupils have successfully carried out activities for which they might never have volunteered. On the evening many staff were supported by the members of the Parent Council and along with the performance of the pupils provided a lovely evening of culture and entertainment. The program included our pipers performing ‘A Man’s a Man for a’ That’ and solo songs from Matthew Connif and Ruairdhri Wright. There was film and drama representations of ‘To a Louse’, ‘Flannan Isle’, ‘The Twa Corbies’ and Tam O’Shanter’. Further items included an Address to the Haggis and a small play outlining the actions of famous body snatchers Burke & Hare. A highlight amongst an evening of gems was Josie Ogle’s winning short story read out to the audience by Ruairdhri Wright. You can read Josie’s story by clicking here. The evening ended with Miss Hunter leading everyone in a traditional rendition of Auld Lang Syne. A group of senior pupils spent three days of activiites in the Cairngorms and Glenmore as part of their Outdoor Education course. Under supervision by school staff the pupils took part in winter mountaineering skills on Cairngorm, mountain biking and walking in Glennmore and further biking at Woftrax in Laggan. Staff involved were Mr and Mrs Johnston, Mr Sutherland and Mr Milner. All the pupils had a great time and you can see more photos by clicking here. Last summer, Gairloch High School pupils in S6, achieving Advanced Higher certificates, recorded the highest percentage success rate for any school in Highland. These certificates are equivalent in many respects to first year university courses. Two of our pupils were offered direct entry into second year of university level due to their hard work and success in S5 and S6. This year many of our S6 pupils have already been offered unconditional offers into universities across Scotland as a result of their Higher success in S5. This provides a different challenge for these individuals as they try to maintain academic momentum for courses that appear not to be needed any more. Others pupils have conditional offers that mean they have specific targets to achieve if they are to gain entrance to the university of their choice. S5 pupils are in the midst of their most challenging academic year. They are told this from the beginning but it may only be now that they are beginning to realise it! The effort and focus that they can muster over the next two months will determine their results at the summer. Staff provide instruction, direction and negotiate targets with pupils but ultimately the individual effort of the pupils is the crucial factor. Staff also look to parents to support and encourage their children to focus on the targets and work agreed with their teachers. Pupils in S5, but also those in S4 and S6, should now be entering an intense period of preparation at home, as well as in school, to make the best of the exams in May and June. Parents concerned that their children are not focused on their targets are free to contact the school to discuss strategies with Pupil Support. Study club will run in school on Mon 30th March to Wednesday 1st April inclusive. S3 Study Skills Day – On the morning of Friday 13th March all third year pupils were involved with activities that allowed them to find out how they could best revise for their upcoming exams. They took the time to complete various quizzes and tests to find out their ‘multiple intelligences’ and whether they were more ‘left’ or ‘right’ brained. The final activity tackled organisational skills. Pupils learned about the uses of mind maps while learning, either in class or at home. Some excellent mind maps were produced. The mind maps were based on each individual’s school subjects and the topics that were to be revised. It is hoped that this morning has given our S3 pupils more insight into their individual learning styles and has provided the motivation to try new revision strategies. Dingwall Rock School – After taking part in a Rock School in Portree during February, several pupils were excited at the prospect of attending another in Dingwall. Hamish, James, Max, Amy, Gareth and Callum participated with the help of parents travelling back and forward daily. All involved were very positive about the experience and film of their performance is available on the school website. Conal McDonagh (S3) is performing in the National Youth Pipe Band at Eden Court on 4th April 2009. The concert of traditional music features other bands and guests and looks like being a most enjoyable event. Medical and Health Science Event – Four S5 pupils with an interest in this attended a series of lectures in the new Centre for Health Science at Raigmore, Inverness. The short lectures covered infection, diabetes, orthopaedics, surgery and women’s health. They concentrated on two or three of the most important advances in recent times. Attendees were given the opportunity to ask questions and to respond to what they had heard using a digital recording system to collate the opinions. The day ended with consideration of the next fifty years. In all, this was a very worthwhile day which allowed pupils to see the wide range of careers available in this field. Basketball – Mr Gorman took the S2/S3 Boys and Girls Basketball team to Culloden Academy to play Basketball. They did not win their game on Tuesday 10th March, but have shown an improved team performance overall. Well done for taking part against much bigger schools. Thanks to Darren and Gavin for helping coach the teams. S1 Bring and Buy Sale – The Sale last Saturday was well supported again this year by members of the community. Doors opened at 10am. The pupils had spent the whole of the previous day, with the help of Mr McSwan and several other staff notably, Mrs MacLeod, Mrs Smith and the janitor Mr Bowker, preparing the Community Hall. With further help from many of our parents we raised around £2200 on the day. The staff and pupils once again would like to thank local businesses and individuals for the wide range of excellent donations that made up the raffle prizes. The raffle certainly adds sparkle and excitement to the morning sale and included freshly caught fish, original artwork, meals in local hotels and wildlife cruises for the lucky winners. Everything that did not sell during the sale will be donated to various other local charities. See photos here. French Trip – The final deposit of £100 is due to be paid today – 20th March. Please make sure you have applied for your son’s or daughter’s European Health Insurance card as Mr Milner will want them soon. If you have not already applied for this, please do so ASAP, and on line is the quickest method. Friday 27th March – End of term whole school cross-country event planned in Flowerdale. STUDY CLUB for S4-S6 pupils will run from Monday March 30th to Wednesday 1st April inclusive. Tuesday 14th April – School opens to staff and pupils. 16th April – S3 exams begin. Pupils dressed in red for charity. S6 wore their pyjamas and even the teachers joined in! All for some fun and a good cause. Click on the photo to see more silly pics! Big Green Challenge Update – Gairloch Team is offered a trip to the Eden Project – We reported before the success of our debating team in the finals of the Big Green Challenge competition organised by Highlands and Islands Enterprise and held in the Scottish Parliament. Our team of three, Kirsty, Bella and Anna did very well but did not progress to the last debate which would have given them the opportunity to win a trip to Iceland. It turns out that this was a mistake that HIE have acknowledged. They have offered the girls an apology along with an expenses paid trip to the Eden Project. Why do you go to school? A strange question in this country perhaps, but of course there are many children in the world who don’t or can’t go to school. It is the title of a joint poster activity that we are taking part in this term with our Link School in Malawi. Pupils have recently started work on posters and these will be sent to Malawi at the end of this term. In due course, we will receive posters back from Malawi with their ideas on this theme and these will be displayed in the school. S6 Enterprise Event – Mr Sutherland once again arranged the two-day Enterprise training for S6 pupils in February. This conference, held in the Myrtle Bank, is run by the organisation ‘Business Dynamics‘ and pupils attended workshops with topics covering the use of the internet, funding, staffing, marketing and producing a business plan. 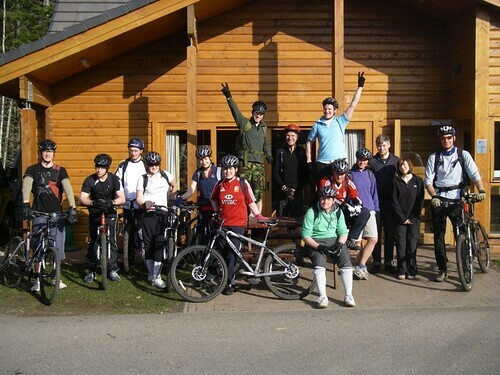 Mountain Bike training – We have entered a team for the “Ten Under the Ben” endurance mountain bike race in May. James Staddon, Matthew Fothergill, Alisdair MacLennan, Lewis Martin and David Gorman all went to the Laggan Wolftrax trails on Saturday 28th February to train. Mr Johnston and Mr Gorman accompanied the group and usually managed to keep up. The trails were tough and challenging and ideal for building the fitness and technical skill needed for the race. Thanks to Dr Caley for helping with the driving and Fiona Downie for organising funding. The enthusiasm for this activity in the school is largely due to support from the Great Wilderness Challenge which allowed us to purchase bikes. Junior Basketball – The junior boys played a visiting team from Nairn Academy last week. Unfortunately they got defeated quite badly however the boys appreciate that if they are to improve then they must take on other teams and gain experience. S6 Pupils in Art Exhibition – On Thursday 26th February, senior Art pupils travelled to Ullapool with Ms. Gulliver to visit an exhibition at ‘an talla solais’. On display was work produced over the past four months by students on Eleanor White’s Portfolio Preparation Course and amongst the contributors were S6 pupils Eilidh Alexander and Abbie Spence. Our senior pupils were impressed by the great variety and quality of the work on show; large scale self portraiture, brightly coloured still life, abstract landscape and 3D pieces could all be seen, and everyone felt that Eilidh and Abbie’s pieces compared favourably to the rest of the work in the exhibition. Robots and computers – Morna Findlay from the University of Edinburgh, visited the Computing department on Friday 27th February and showed a variety of robots and computing equipment to the classes. Some pupils also got to challenge the computer to a game of Connect Four. Several tried to beat the computer at this game but the only one who managed was Luke Gorman in S1. Luke was presented with a School of Informatics sweatshirt for winning. Well done Luke.